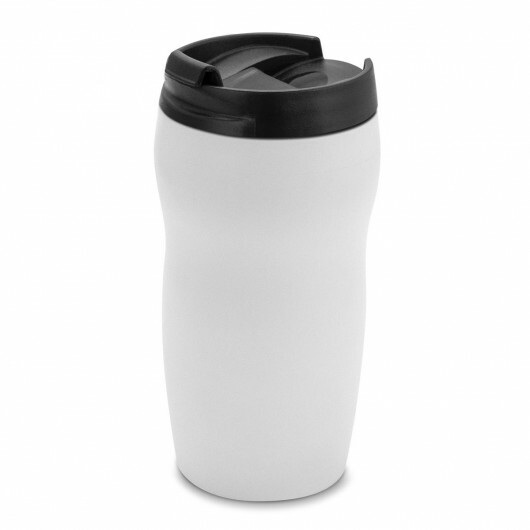 These travel mugs are awesome for coffee lovers. 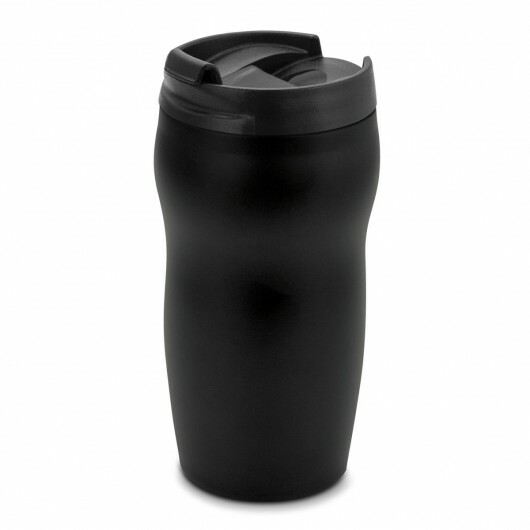 They're a compact size, making them great for in the car or while you're on the go with a capacity of 300mL. The contoured design makes these cups easy and comfortable to hold. 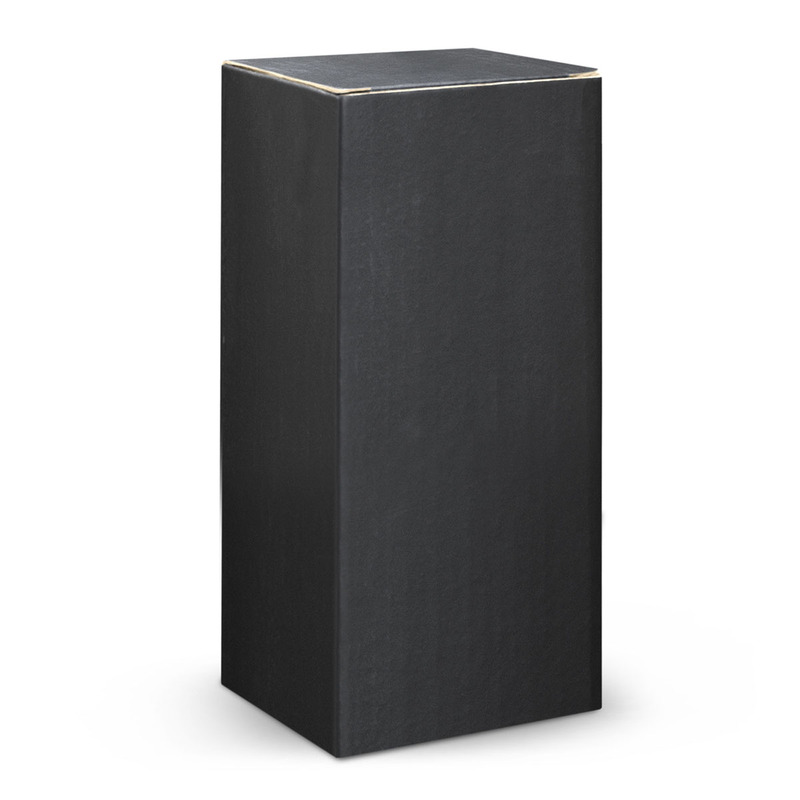 They also feature a double wall design that will keep drinks hot for up to 3 hours. 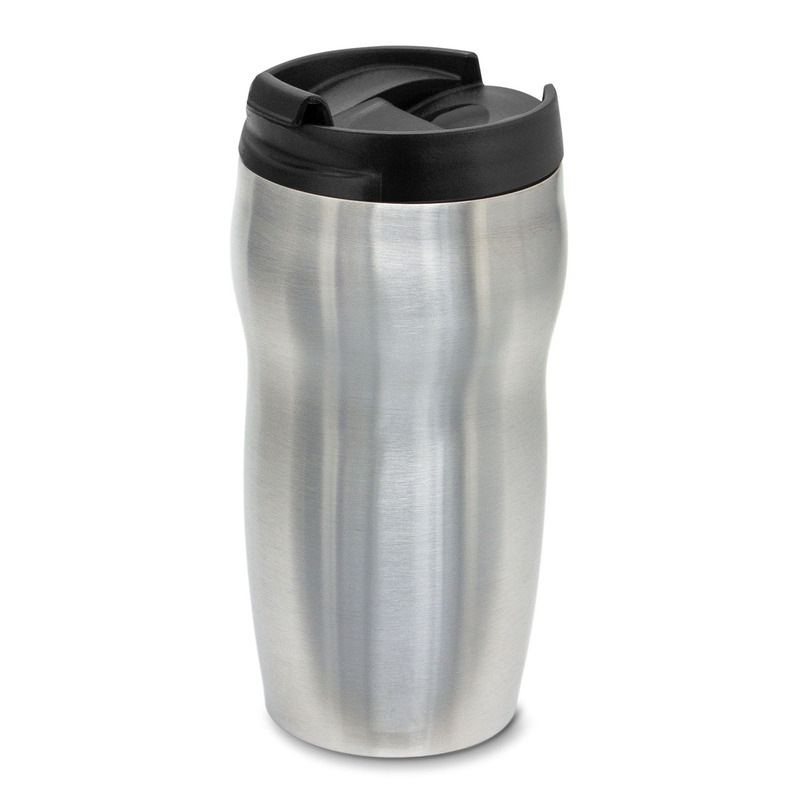 Other features include: a secure screw on lid, splash proof flip closure, soft non-marking base. 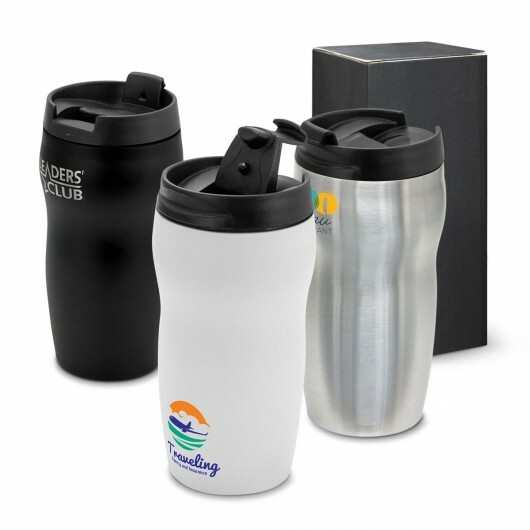 laser engraves to stainless steel finish, presented in black gift box and handwashing is recommended.